Aiming to become the "World No.1" –This is Nidec Group's untiring quest from the time of foundation. 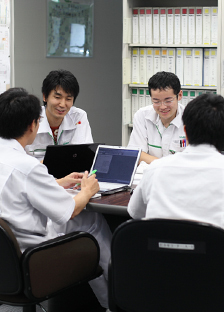 Nidec Group's business strategies have always based on the aspiration of the company to become "World No.1" as exemplified by development of agents' network right after the foundation, various innovation in the small precision motor area, aggressive M&A and restructuring of group-wide business portfolio to meet the changing needs of society. As seen in "Three Sprits", namely "Passion, Enthusiasm and Tenacity," "Intelligent Hardworking," and "Do it now, Complete the job and Follow-through," aspiration to become the "World No.1" is already a shared philosophy of all employees to conduct daily business. Nidec Group has produced many products that have leading global market shares with its brushless DC motors which have features such as energy saving, durability and low noise. Top global market share products include 85% in HDD motors and 90% in DVD/Blue-ray motors. In recent years, we have also expanded its business in the automobile sector. We are supporting the energy saving of automobiles by providing motors for electric power steering, and oil pumps. We have also begun development of SR motors that are now spotlighted as main traction motors for EV's. In this market, we are gathering a secure business foothold in power electronics applications to become the "World No.1" position of comprehensive motor manufacturers. Further we are aiming to become the "World No.1" manufacturer in comprehensive drive technology focusing on "everything that spins and moves." It is estimated that electric motors account for between 40% and 50% of total global electricity consumption, of which industry accounts for about 60%. With such massive amount of power consumed in the industrial area, a global energy-conservation standard has been established to address environmental issues and power shortage, and regulations have been made effective in various nations accordingly. The regulations, which cover AC electric motors’ three-phase induction motors, make it obligatory in the United States to sell motors equivalent to IE3 (premium efficiency) or higher level since 2010. The IE3 efficiency level became obligatory in Europe and Japan in 2015. With the above trends, we started manufacturing and selling IE3 level industrial motors, which will help reduce power consumption in industries. 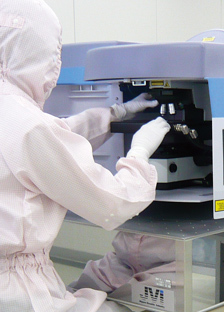 Nidec has expanded its operation to have presence in the global market from the time of its foundation. In its second year of operation, Nidec set up business agents in the US and in its third year, in Europe and Asia to develop a global sales network. Today, after over 40 years later since the foundation, Nidec has grown to have R&D, production and sales network with as many as 311 companies in Europe, Americas and Asia, particularly in its fast growing automotive motor businesses. Our global network now facilitates the swift response to local needs, the diversification of risks in production and development of business continuity plan. We will expand our business agents in countries including India and Brazil to cover the fast growing demand in emerging economies.